The management of Innocent Idibia famously known as 2Face, has relased an official statement concerning Blackface’s claims. The management stated Both 2Face and his manager, Efe Omorogbe have decided not to engage in media rants with Blackface. They further reiterated claims of song theft are false and would be addressed in court. “Contrary to the position held in some quarters that our client, Innocent Idibia, AKA 2Baba has failed or refused to respond to the ridiculous accusations by Austin Ahmedu AKA Blackface, we would like to state that this is untrue’. “What 2Baba and our founder/CEO, Efe Omorogbe have done is refuse to create time to engage in an unproductive media banter with Blackface every time he wants to release new material. “Both 2Baba and Omorogbe have stated publicly that Blackface ’s claims of song theft and media/live performance blacklisting are unfounded and malicious. Blackface has been advised to seek legal redress if he believes his claims are true and if not, cease and desist from making unsubstantiated defamatory public statements about both 2Baba and Omorogbe. “Blackface’s refusal to file a suit or discontinue the defamation forced our lawyers to institute a defamation suit against him at the Lagos State High Court. His lawyers have entered a defence and the case is currently on-going. 2Baba and Omorogbe are confident that the court will handle the matter. 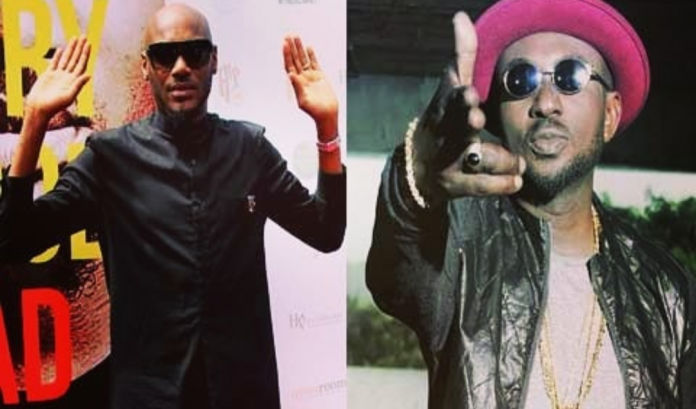 The feud between 2Face and Blackface seems unending. However, the court has the final say as both parties have filed suits.